The Missoula group of dirt bike riders, Ride MT XC, got together last Spring to give back to the community. A few of the riders, including Katie Hockett, Brandon Hockett, Jason Maxwell and Angela Gerych, attended a clean-up at the Deep Creek area, near the shooting range. Even though you can legally only ride the roads in the area, the group of riders had been through the area several times and were disgusted with a particular area that people had used as a makeshift range, leaving a wake up broken tv’s, glass bottles, old tires and other miscellaneous garbage. Ride MT XC is proud of their community, and the group scheduled the clean-up for a Saturday, May 5th. An unexpected cold front came through Missoula, bringing with it icy winds freezing rain, but the group was not deterred. A gas grill was provided and complimentary hot dogs were available to the volunteers and so was bottled water. 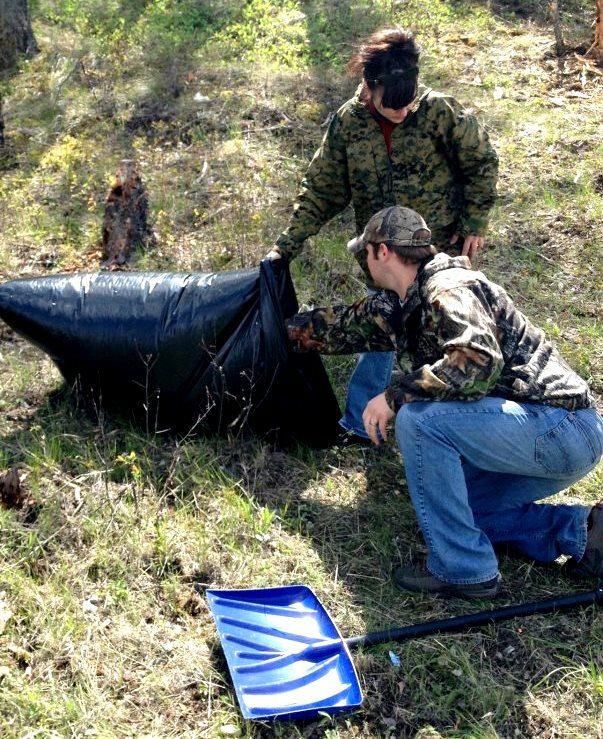 The crew ended up removing a whopping 780 pounds of trash that they bagged and hauled to the Missoula landfill, as a result of this teamwork. Ride MT XC hosts community service-oriented projects annually, and the next one will take place in late Spring/early Summer of 2013. Check out www.ridemtxc.com and also “Like” them on Facebook for more information. Good work, Ride MT XC! Look forward to seeing what this year’s community project is!